Over the past year, I've realized the value of investing a significant amount of time at the beginning of a project to thoroughly understand a client's site and business. An example of this type of investment is that I've started systematically mapping out the information architecture of my client's sites visually (this was recommended to me via an internal Distilled discussion). Although, this process is time-consuming and often times rigorous and intense, it has easily returned its value multiple times over. 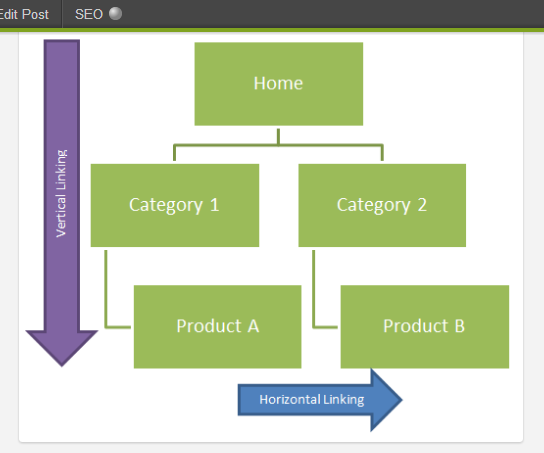 Below is detailed information on how to map out the information architecture of a site, as well as different tactics on why mapping is useful from an SEO perspective. 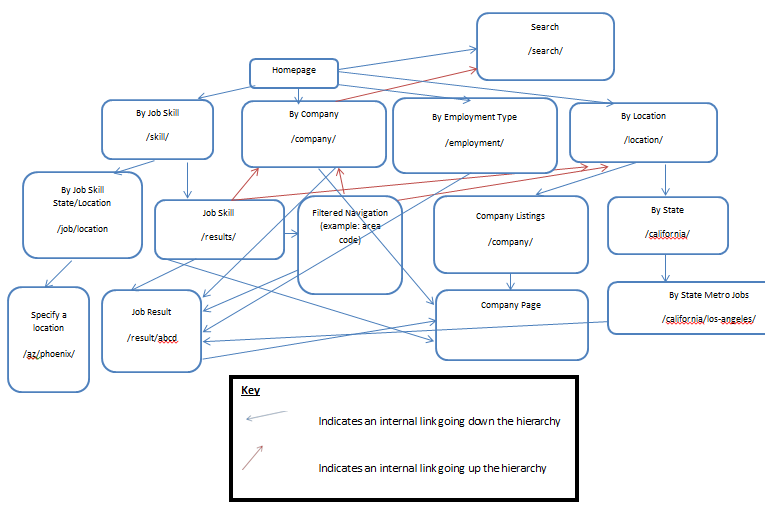 Initially, I started mapping out the information architecture of a site using Microsoft Word or Balsamiq. Recently, I've started using the free version of Lucidchart (see diagram below). However, any wire framing tool would work for this task. 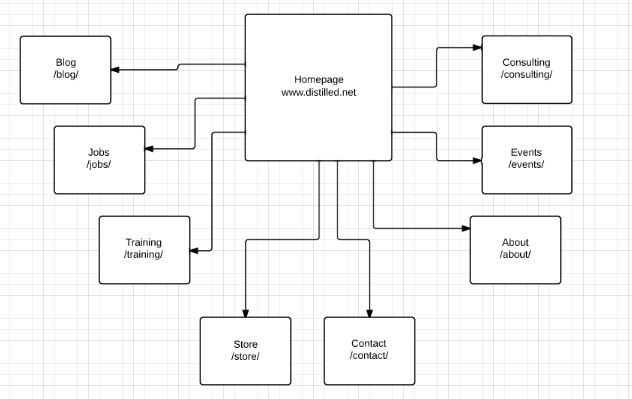 Below is an example of a mapped out version of a site's information architecture. It is particularly important to visualize the differences between internal links going up and down the hierarchy, so it's best to use two distinct colors. 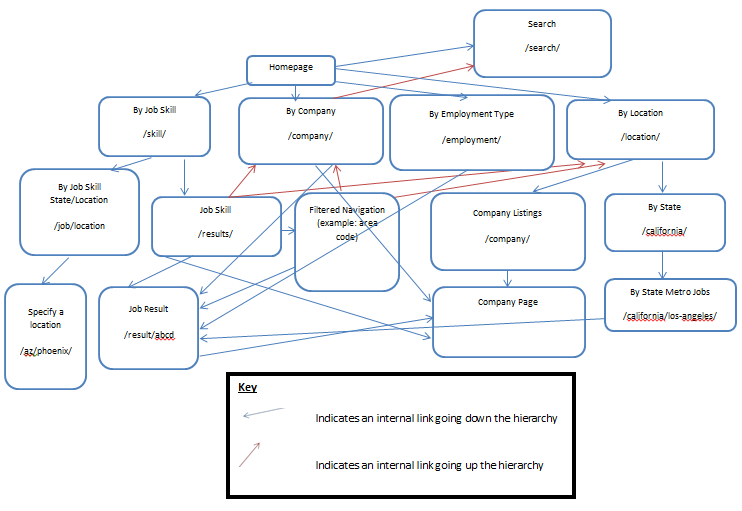 In my diagram I chose to use blue for links going down the hierarchy and red for links going up the hierarchy. I would also choose another color for links going across the hierarchy (although it is not demonstrated in this particular diagram). If you plan to share this map with other individuals, it's best to also include a legend/key, so that it is really easy to distinguish the significance of the different colors. Often times, my clients will come to me and ask specific questions, such as "I've built this page to target so-and-so keyword, yet another page on the site is ranking for that keyword. Why is this happening?" Although, the reason could stem from multiple factors, like external links, having a map of the site's internal linking structure provides you with clearer insight on how you can possibly rectify this issue sitewide. Is a page being linked from a page higher up the information architecture? Is a page being linked from pages with higher PA? Is a page being linked from more internal pages? By mapping out the information architecture of the site, it becomes very easy to discern the different page types that exist on the site. As a result, when you start conducting a technical review of the site and spot technical SEO issues, it's quicker to determine whether this is just a page-level issue or one that involves all pages of a similar type. Knowing this information is critically important when communicating with developers because it defines how they will solve the problem and it also relays how well you know their site and how thoroughly you assessed the issue. Having a strong understanding of the different page types that exist on the site also plays a major role in how you build out future recommendations. 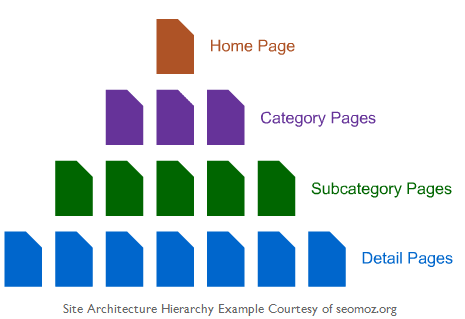 Instead of identifying strategies that pertain only to specific pages, it makes it a lot easier to visualize larger scale strategies because you have a really clear understanding of how many different page types exist on the site and how they relate to one another. Mapping out the information architecture of the site forces you to also become very aware of not only the information architecture of the site, but its content and URL structure. As a result, going through this process makes it really easy for you to spot technical issues with the site, such as duplicate URLs, URL issues (trailing slashes, inconsistencies with upper case/lower case, page types that you may have forgotten about, etc...) and identify patterns of where/why they appear. This is a perfect complement for any type of technical crawl you're already performing on the site. Once you've mapped out the information architecture of the site, you can also build out a map of your competitor's information architecture. 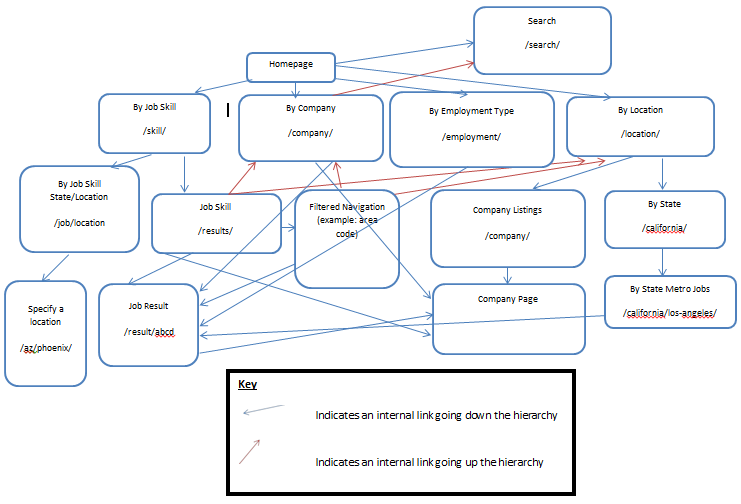 This is useful for identifying the different page types they have built to target specific keywords and why they might be ranking well via internal linking. Furthermore, I've effectively used information architecture maps to build business cases for developing longer term/large scale strategies for clients because often times, developing a new internal linking framework or new page types is a big endeavor for my clients. From their perspective, It may be difficult to comprehend the value of this investment, but when you visualize the differences between their site and their competitor's site, while correlating this to certain metrics (like rankings and estimated traffic), it makes it much easier for you to get buy in for your strategy. As a result, I find information architecture maps useful for both gaining a firm understanding of my client's site needs, as well as helping me visualize larger scale strategies that I want my clients to implement in the future.